A Manatū Taonga audio guide to the Wairau Affray. Check out the Ministry for Culture and Heritage's audio guide in the image carousel above. 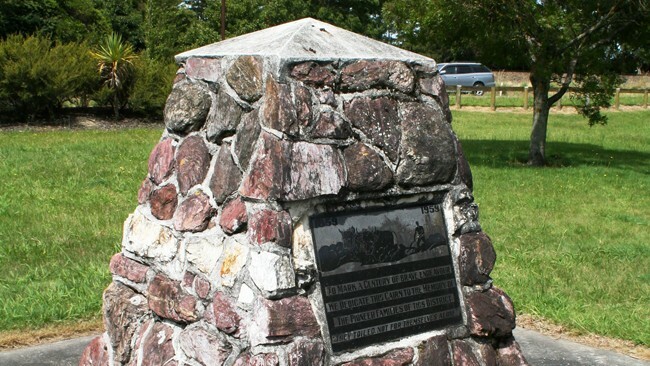 Today a sleepy settlement between Picton and Blenheim, Tuamarina was the site of bloody conflict in June 1843. The New Zealand Company believed they had bought the Wairau plains -- but Ngāti Toa chief Te Rauparaha considered that the area had not been purchased. He evicted surveyors from the Wairau, and when a party of settlers arrived to arrest him, conflict broke out.